Look closely at her face and she looks a bit like Lars. Seriously. The first fruits of album sessions that saw James Hetfield and Kirk Hammett reduced to tears have been released. The 30-second teaser clip of The View, which you can hear in the YouTube video above, proves to a) be nothing to do with the Scottish indie band of the same name, and b) sound almost exactly like you imagined it would. 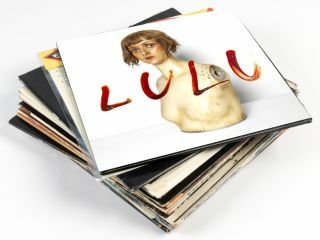 Visit the official Lulu site for more.